I promised I would post a review and swatches of the AJ Crimson BB Creams, so here it goes. 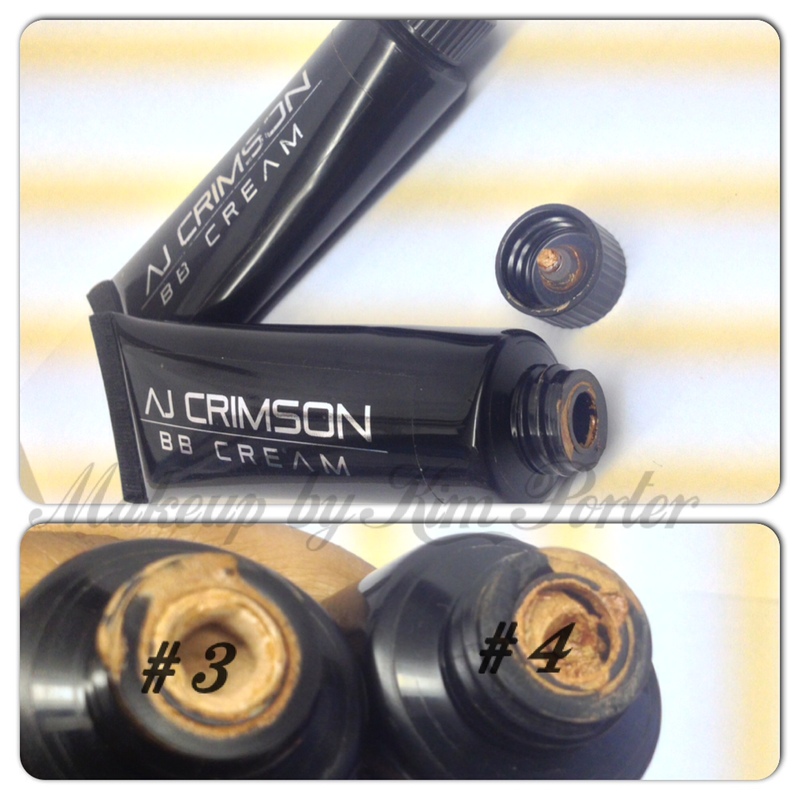 In early March, I purchased two of AJ Crimson BB Cream shades, #’s3 & 4. I posted swatches of each cream on my instagram account, as well as some face of the days (FOTD) from when I used it. 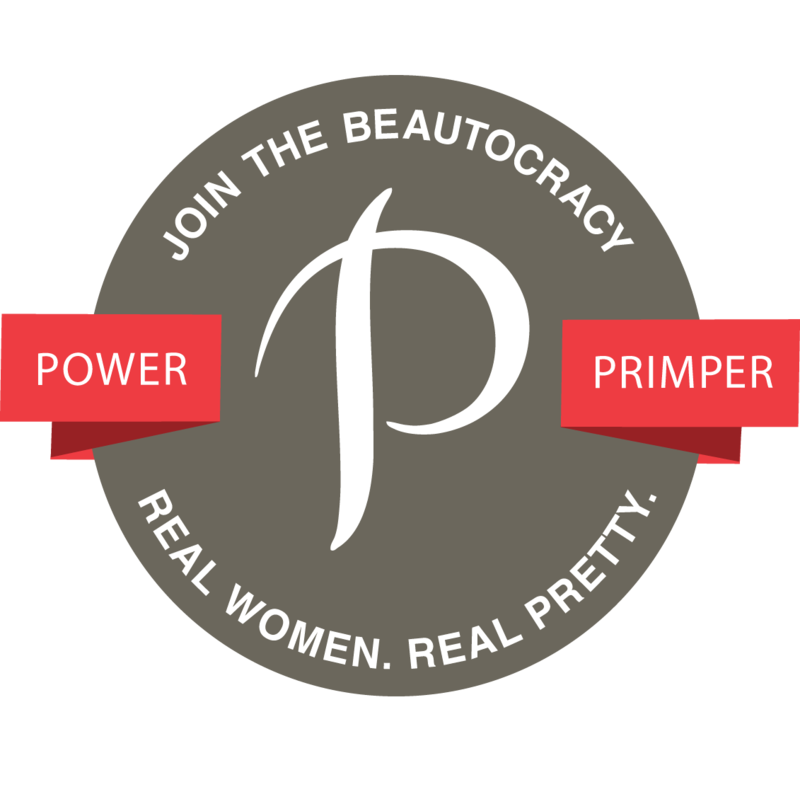 In my post about the Garnier BB Cream, I talked about what BB creams are. I’m going to skip all of that in this post. MORE THAN A BB! AJCRIMSON NEW BB CREAM HAS MORE COVERAGE! ALL THE GREAT SKIN CARE YOU NEED IN MOISTURIZER! AND IT HAS A PERFECT SHADE RANGE!!!! 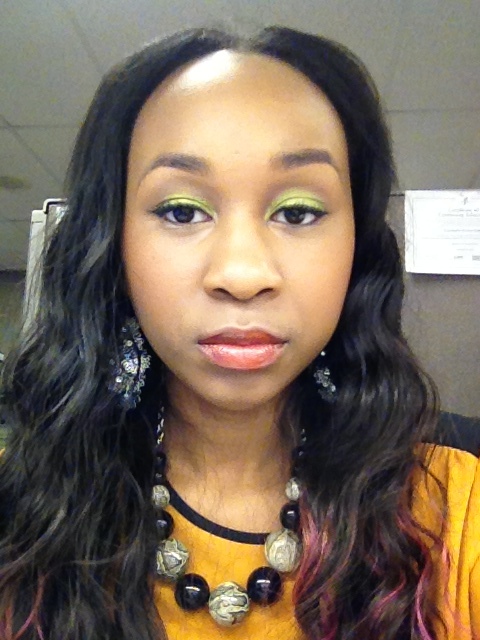 I must admit that when I first squeezed out my first bit of AJ Crimson BB Cream, I was a bit thrown off by the color. 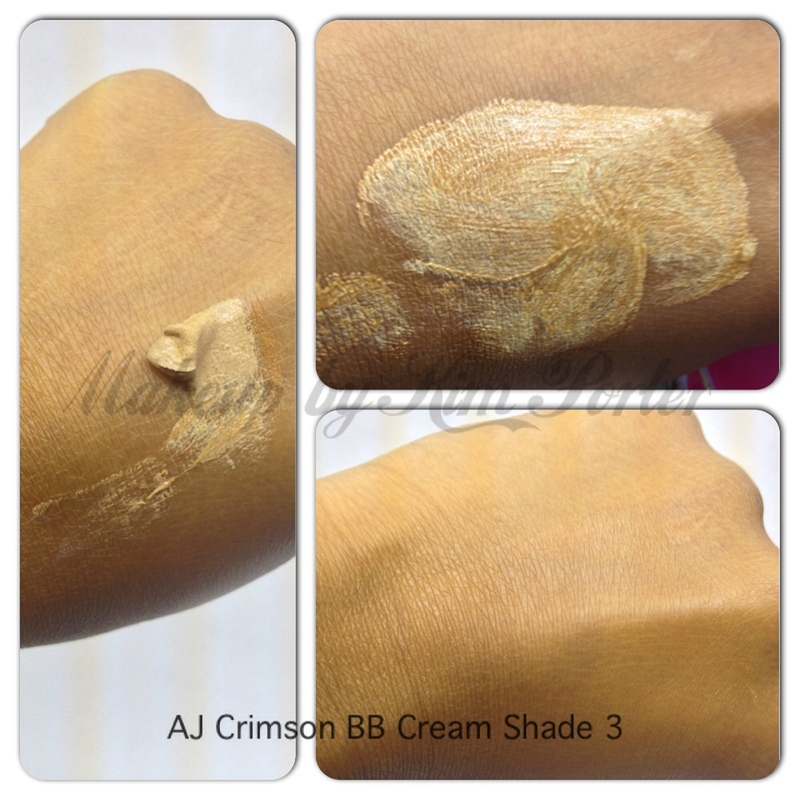 The AJ Crimson BB Cream doesn’t come out brown, but, a buttery caramel color. I think I’m explaining it correctly. Once you rub in the cream, it turns into the shade it’s meant to be. I find that I like the application of the AJ Crimson BB Cream better when applying it with a damp brush; therefore, I use my Real Techniques Expert Face Brush sprayed with a little bit of my WEN Lavender Replenishing Mist to blend in the AJ Crimson BB cream. Shade #3 he has matched up to MAC Studio Fix Fluid NC35, and Shade #4 he has it matched to NC45 in the Studio Fix Fluid. Shade #3 matches me perfectly, while shade #4 is too dark; it would be the perfect shade for the summer after I’ve spent some time in the sun. This is why you really can’t go off of your MAC “match” because it honestly varies. I always try to express that to people. I would definitely recommend purchasing the AJ Crimson BB Cream. They’ve become so popular with all of the buzz on his twitter, instagram and facebook page that most of the BB Creams are sold out and you have to be placed on the waiting list, BUT , I believe it is worth the wait. When I purchased the AJ Crimson BB Creams they were on-sale for $10 each. Currently, he’s selling them for $20 each (orig. $34). I probably should have bought all shades when they were $10, but, I wasn’t sure how good they were going to be (or not). I do want shade #2 for highlighting purposes. It would also be nice to have a few of these for my kit. You can purchase the AJ Crimson BB Cream at http://ajcrimson.myshopify.com or visit his booth at The Makeup Show New York May 5 – May 6, 2013. 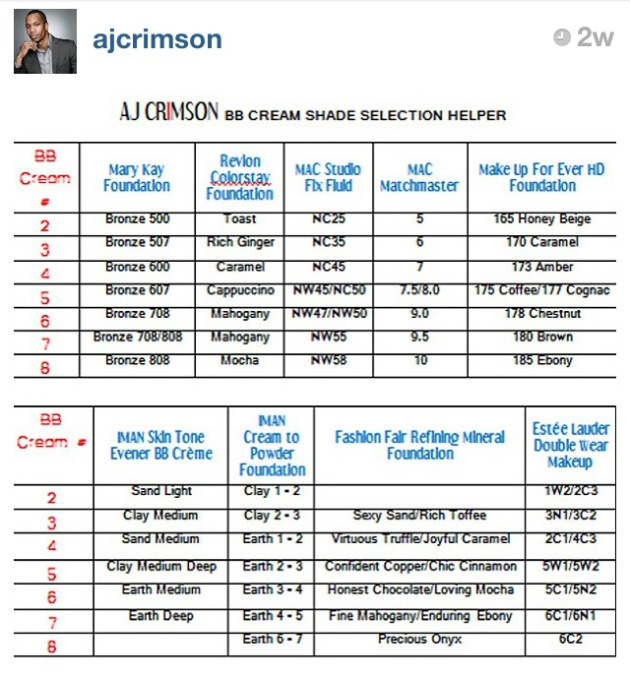 If you do plan on purchasing the AJ Crimson BB Cream, check his comparison chart below. 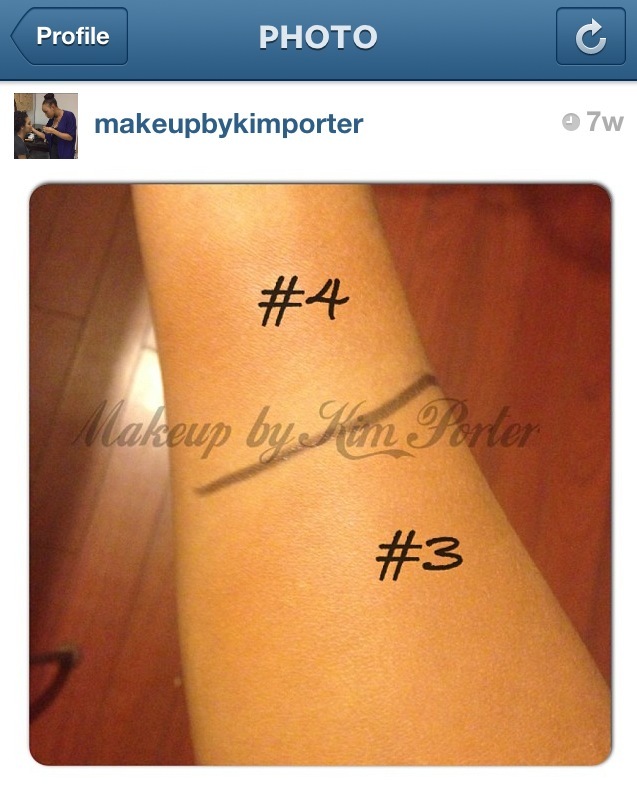 Great review Kim, I bought the cream online but it's too light (I'll use it for highlighting). I will be getting my correct color at The Makeup Show this weekend! Thank you. Which day are you going to The Makeup Show? I'm actually an NC45 in MAC and he personally matched me to BB Cream#3 at the Makeup Show in NYC 5/5. I wore the cream today and loved it! I actually purchased the #3 foundation as well. Have you ever ordered from his site? Is there a problem with his order site. A recent facebook post shows there are issues with contact customer service?